Our goal is to make each event special and memorable. Because the events take place next to our home, they are very personal to us. We only host parties for our friends that are members of the Taxpayers Association. Jim Cobb is President of the Taxpayers Association of Central California and all party costs are contributions to this non-profit corporation. Review the following information. It will help you plan your most important day. Can we bring in food and drinks? Party planners enjoy bringing their own food or assigning certain items to certain guests. What does “Children Friendly” mean? We protect the facility so that children feel safe and all ages have fun. For that reason, squirt guns or activities that are not small children friendly are not allowed. Safety First. No Glass or ceramic items! Broken glass is impossible to find in the sand and it cuts feet. This includes food serving items, decorations and candy tables. No glass at Cobb Ranch! What about other stuff? Candy, cake, small pieces of paper or Piñata left over’s must be cleaned up. What can I expect when I arrive? 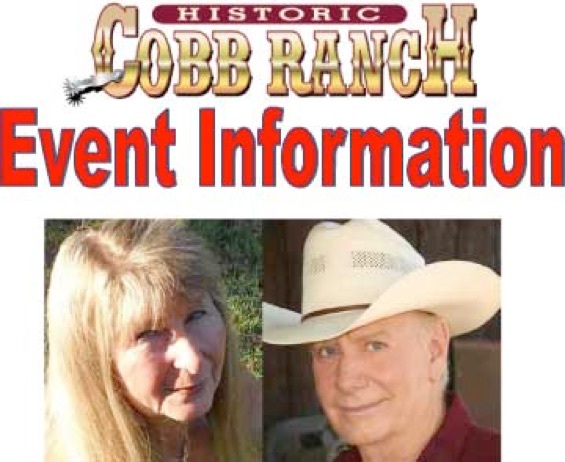 Upon arrival, Emilie or Jim Cobb will greet you and your guests and direct you to the party area. Do your facilities serve parents and relatives? Yes. Everyone has fun at Cobb Ranch. We have designed the facility to create happy memories for all ages. Many complements come from individuals over 70 years old. How long do parties last? Generally three hours. Because there is so much to do, we have found that children get vey tired after three hours. Everyone wins with 3 hour parties. What size tables are included? The party area has five-foot round tables and chairs for participants and lots of extra adjacent seating throughout the party area. The tables and chairs are white plastic for easy cleaning. The party area also has one or two 2.5 foot by 6 foot rectangular tables for gifts, cake or whatever you choose. What about decorations? You are welcome to bring in decorations that meet our safety requirements. Many parties choose to let the Giant Oak Trees, Beach and beautiful surroundings become the entire focus. While decorations are not necessary, some parties like to use (plastic throw away) colored table cloths, balloons, banners, etc. You will be responsible for clean up of any decorations you bring. We request that you do not bring confetti (i.e. small pieces of paper, mylar, metallic material or silly string) because it is too hard to clean up and very dangerous to our wild life. When do we decorate? The 30 minutes before the party is to start. When do we clean up? The 30 minutes after your party is you’re clean up time. What do we do with trash? Each party will be provided trash receptacles and enough trash bags to clean up all trash. It is your responsibility to leave the party area in the same condition as you found it. We will dispose of trash bags. Does Cobb Ranch have a video of a party? Yes. Just click on “See Video.” Watch the fun. Are Pets allowed? Sorry, but no. In order to maintain the health and safety of our animals and guests, pets are not allowed.